Up front, I use Pixabay frequently for their fine, royalty-free photos, whether as inspiration, or as an image to be painted. Here, I used an image of a loch (found under the search term “loch” – how clever!). I loved the vantage point and tried to catch it. Here, the sense of being up above the rest of the world, in a field of flowers, on a beautiful day, is so well done in this photo, I just had to be there myself. 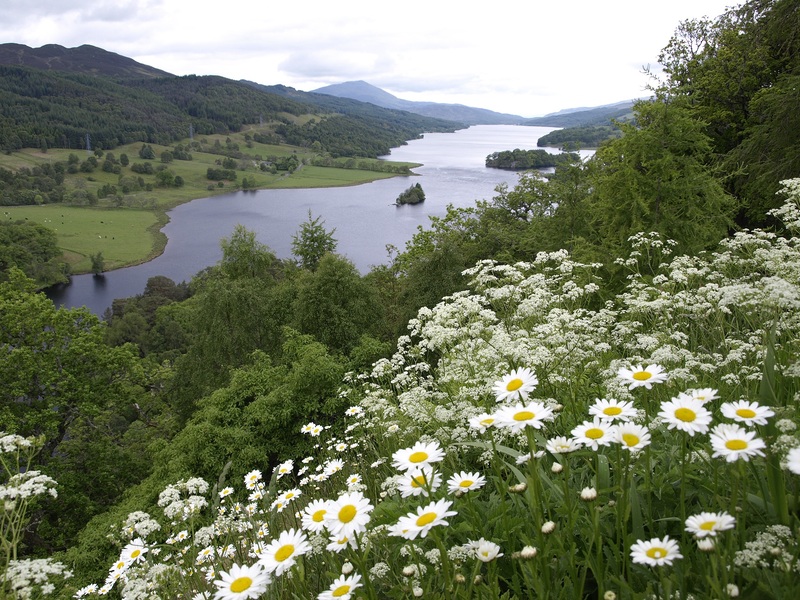 Scotland is one of those countries that is mystical and magical, and views like this only touch the tip of its beauty. 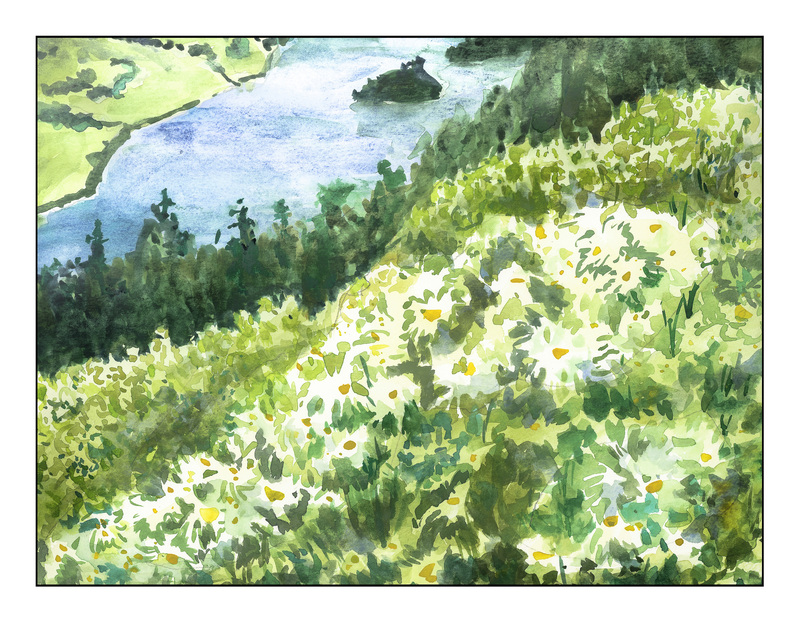 The daisies were especially challenging – so bright and white! Negative painting and thin washes hopefully express them fairly well. The DOF was another challenge, and it is a natural tendency to not leave well enough alone . . .